← Documenting business processes – how and why? 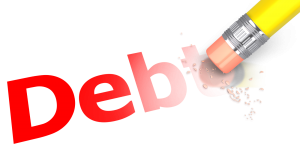 Companies sometimes write off debts for various reasons and also fall under the donation tax regulation. It should be considered that the donation tax applies only if debts are written off because of remission. The latter means that an explicit voluntary consent of the creditor is needed so that (under certain conditions) part or all of the debt is to be written off and will not be claimed from the debtor. If the company writes off the debt, but no act of remission occurred, the donation tax is not due. For example, in all cases where debt was written off because of statutory expiration deadline, but the creditor does not agree on a remission, my opinion is that no obligation under to the LTF Act for donation tax occurs. Usually the donation tax is due by the company that writes off the debt, unless it is a foreign entity – in such cases, the tax is due by the local company which writes off the receiveable. This entry was posted in Local Taxes and Fees Act, Taxes and tagged article 44 of Local Taxes and Fees Act, article 45 of Local Taxes and Fees Act, donation tax, latter, Local Taxes and Fees Act, write off debts. Bookmark the permalink.